What are the top tax deductions you can take? With the passage of the Tax Cuts and Jobs Act at the end of 2017, this tax season brings a host of changes to the tax code. There are some new deductions and there are some deductions that people don’t use because they’re not aware that they can. Want to know more about the tax deductions you need to consider before you file your taxes? In past years, if you wanted to maximize your return, you would have to itemize your taxes. This year, the standard deduction has increased to a whopping $24,400 for a married couple and $12,500 for a single person. This doubles the deduction compared to years past. Due to this change, the White House is projecting that 90% of people won’t need to itemize their taxes. They can just take the standard deduction. It makes sense to itemize taxes if your total deductions are more than the standard deduction. Read on to find out all of the deductions available to you and then decide which path you should take. You can deduct state and local taxes, also called the SALT tax. Under this deduction, property taxes, state taxes, local and sales taxes can be deducted. It’s capped at $10,000, but it can give you relief if you made a big purchase, like on a car. If you’re self-employed, you can deduct a good amount of your medical expenses. You may be able to deduct your health insurance premiums. For those who are employed by a company, you still can deduct some medical expenses. Everyone can deduct medical, dental, and vision care off of their taxes. The IRS also allows you to deduct mileage or public transportation fare to and from your appointment as well. There is a limit to how much you can deduct. In 2018, you can deduct medical expenses that are more than 7.5% of your adjusted gross income. In 2019, that rises to 10%. Some health savings account contributions are also eligible as a deduction. No, this doesn’t apply to credit card payments. For those who pay a mortgage or student loans, this is for you, so pay attention. Student loans are a major burden for many, but there’s a little bit of relief in tax deductions. You can take a deduction of up to $2,500 in interest paid, which can make a big difference in your tax bill. Homeowners who pay a mortgage are also eligible for a tax break on the interest paid on their mortgages or home equity loans. To qualify for these deductions, the home equity loan must be used to improve the property and you can deduct interest up to $100,000 of the principal of the loan. The mortgage limit is interest on up to $750,000 of the principal. Are you a lifetime learner? If you’re enrolled in courses at an “eligible education institution,” you could receive a tax credit of up to $2,000 on your tax return. The way the credit is calculated, you can take 20% of up to $10,000 in tuition. This one is a tricky one if you work from home. A home office deduction allows you to deduct a portion of your rent and utilities from your taxes. While this sounds amazing, know that there are stringent requirements to qualify. First is that you have to have a dedicated home office space. This would fall under the IRS’ exclusive use rule. This could be a spare bedroom that is used only for your business. You can’t have your living room be your office, too. If you live in a one bedroom apartment or a studio and work from home, you may be out of luck. It’s best to check with a tax professional to see what can be done in your situation. This brand new deduction is likely to become one of the top tax deductions this year. This is creating quite a bit of confusion for business owners and accountants alike. The pass-through business income deduction allows business owners to take a 20% deduction on income that you report as business income on your personal tax returns. LLCs, sole proprietors, partnerships, and S-corps are eligible for the deduction, as long as your income falls under $157,500 for single people or $315,000 for married or filing jointly. The IRS is serious when it comes to paying your taxes on time. Even if you file an extension until October, you are still responsible for paying your taxes if you think you’re going to owe money to the IRS. Soon after you file your taxes, the IRS will send you a bill for the amount owed if you don’t pay the full amount on time. This begins the collections process. If you don’t respond, you’ll continue to get letters until you pay in full. You can get on an installment plan and make a monthly payment. Should you be unable to pay anything towards your taxes, you could get temporary relief. The IRS can put you in Currently Not Collectable Status, which would stop the collections process. Take a look at Precision Tax Relief to learn more about that. This year will be the most interesting year for most taxpayers. With 2018 being the first year of the Tax Cuts and Jobs Act, taxpayers are navigating the murky waters of deductions. 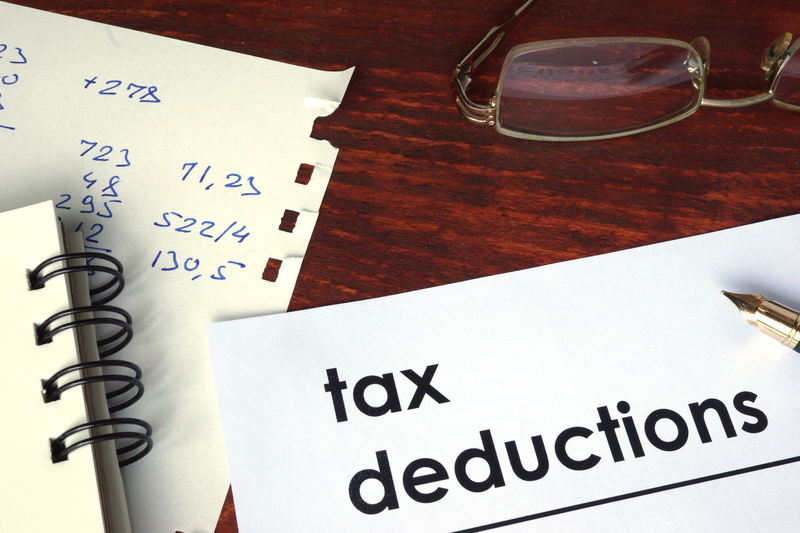 These top tax deductions can be used to minimize your tax liability. With the standard deduction being doubled, there’s a good chance that you may not even need to take deductions. With this many changes, you may want to hire a tax professional this year. Read this article to discover the pros and cons of doing your own taxes.